People across the U.S. receive settlement checks from insurance companies for a variety of reasons, including payouts connected to car accidents and storm damage. Most settlement checks are payable to the insured and a third party involved in the case, such as an automobile repair shop or attorney. Banks cannot cash checks payable to a business, and generally will not cash checks payable to two unrelated parties. However, banks will cash checks payable to an individual, but high-dollar checks require extra planning on the part of the payee. If you are planning on cashing a check for a high dollar amount, the chances are very good that you will need to contact the bank that issued the check and arrange a time to meet with them to cash out. You will likely need to bring two forms of ID. The parties to a check are the person writing the check, also known as the drawer; the bank on which the check is drawn, called the drawee; and the payee, which is the person to whom the check is made out. In the case of a settlement check, the drawer is the insurance company, while the drawee is the bank where the insurance company keeps its money for payouts. The person who is entitled to the settlement funds is the payee. Very often settlement checks issued by insurance companies are returned unpaid because the issuers require endorsements to match the payee line. Omitting a middle initial or suffix or abbreviating a name could cause the drawee bank to reject the item for improper endorsement. If you have a settlement check made payable to you and a third party, both of you must endorse it, and one of you can deposit it in an account. On the front of the check, usually under the numeric dollar amount, you will see the name of the drawee bank. Some insurance checks feature the names of two banks: a drawee bank and a bank through which the check is payable. If negotiating your check involves just one bank, look the bank up online and locate a nearby branch. Because of the high dollar amount, you may need two forms of identification. If your check names two banks, call the drawee bank. Explain your situation to the bank representative. Tell the representative you have a $30,000 settlement check that you need to cash. Ask when you can cash it and what information you will need to provide to do so. The bank may refuse to cash the check, because federal laws do not require banks to negotiate checks for non-customers and banks do not keep excess cash on hand. If the representative agrees to cash the item, she will probably require you to wait two or three days for the bank to make a special cash shipment order. Agree to a time to cash the check. If the check is large, you must contact the bank ahead of time to schedule your visit. Branches do not always have sufficient cash on hand to provide to customers with large checks. When you arrive at the branch, give the teller your two forms of ID. You will probably be required to provide a thumb print sample somewhere on the check. Due to the amount of the check, the teller will call the drawer or the drawee bank (if you are not at the drawee bank) and verify the legitimacy of the check before cashing it. The teller may ask you some additional questions about the source of the funds. The Patriot Act requires banks to maintain information on people conducting certain large dollar transactions. Having established your identity, the teller will cash the check. Request a bag to conceal the money in as you leave the bank. The bank may charge a check cashing fee of between $5 and $10. If you are trying to cash the check at your own personal bank, your bank will probably not cash a check that exceeds your average balance, because the drawee could return the check unpaid at a later date, in which case the bank would incur a loss. 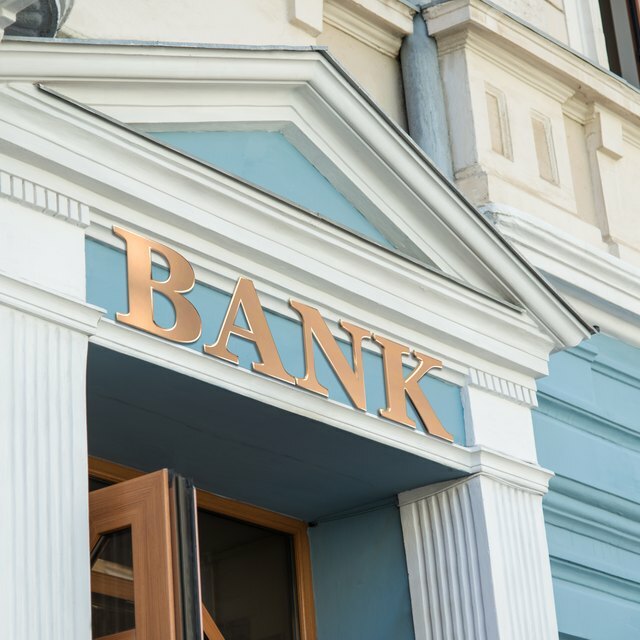 If you typically have in excess of $30,000 in your account, the bank might let you cash the item, because it could recoup the money from your account if the drawee bank returns the item unpaid. If you leave a bank with $30,000 in cash and are robbed, the bank will not reimburse you for your loss. It is wiser to exchange a large dollar check for a certified check, which your bank will deposit without a hold. Your bank will not cash a check that exceeds your average balance because the drawee could return the check unpaid at a later date, in which case the bank would incur a loss. If you typically have in excess of $30,000 in your account, the bank might let you cash the item, because it could recoup the money from your account if the drawee bank returns the item unpaid. Very often settlement checks issued by insurance companies are returned unpaid because the issuers require endorsements to match the payee line. Omitting a middle initial or suffix or abbreviating a name could cause the drawee bank to reject the item for improper endorsement. If you have a settlement check made payable to you and a third party, both of you must endorse it, and one of you can deposit it in an account.